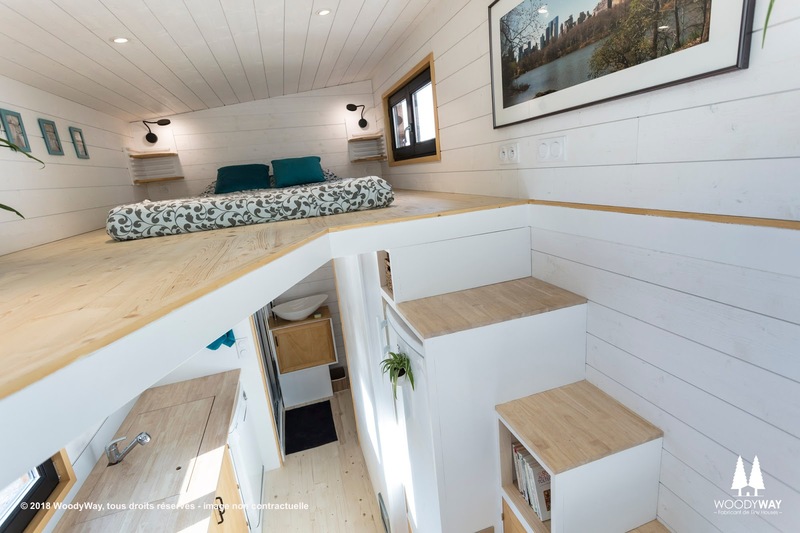 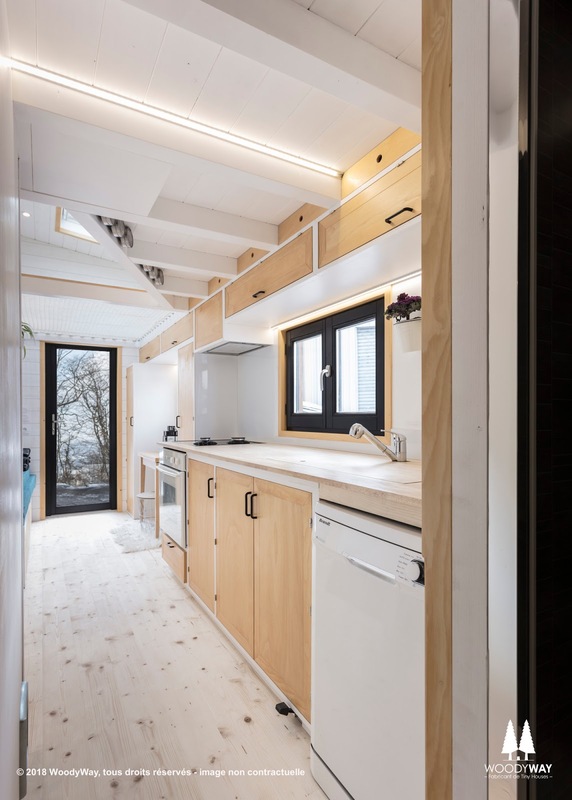 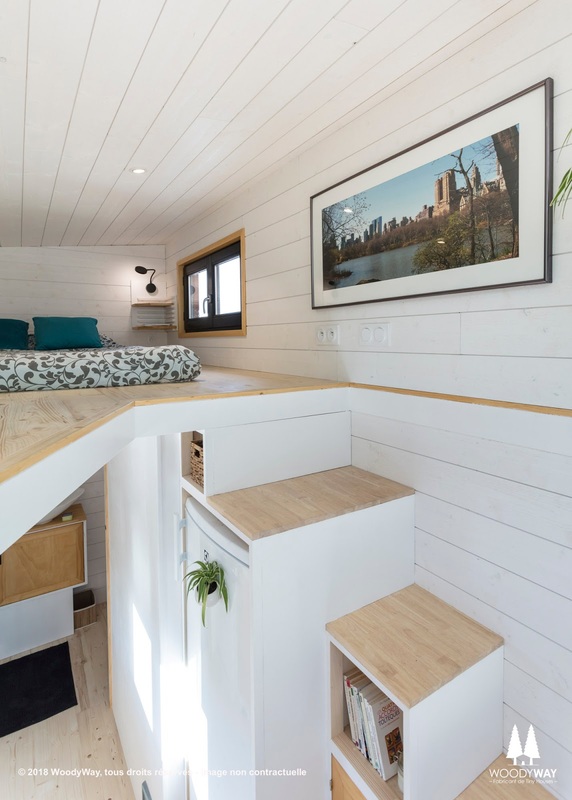 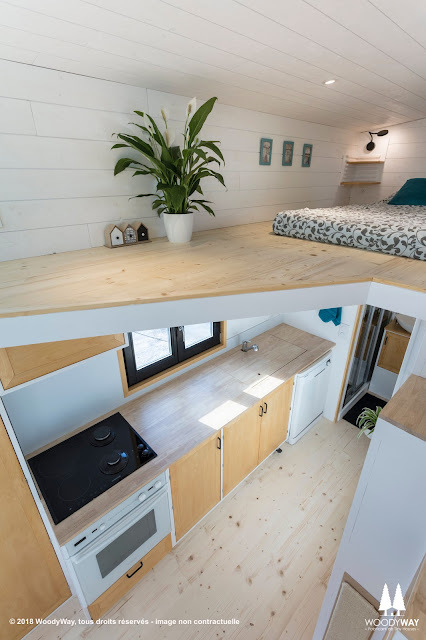 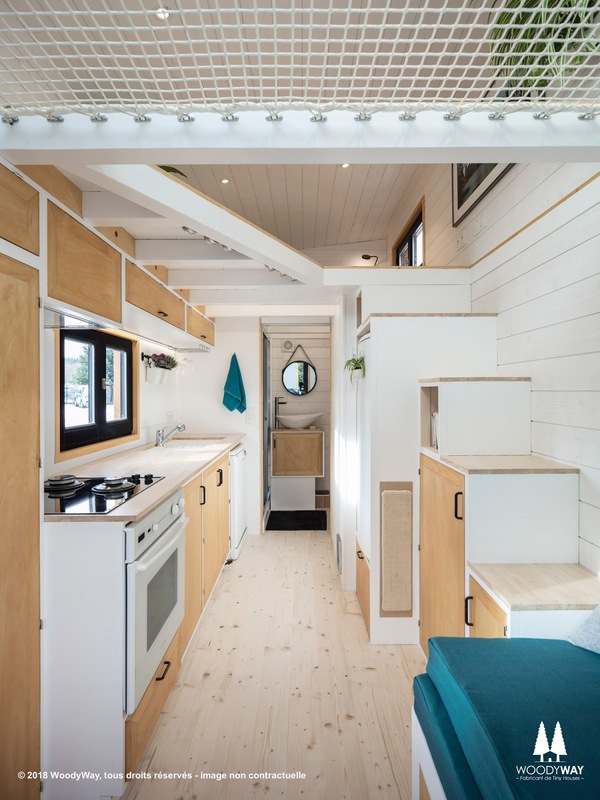 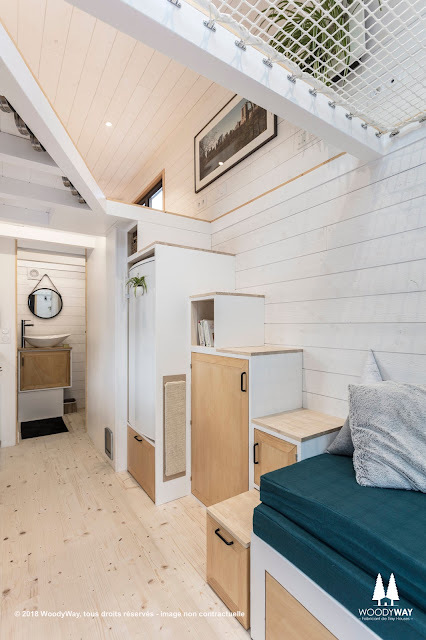 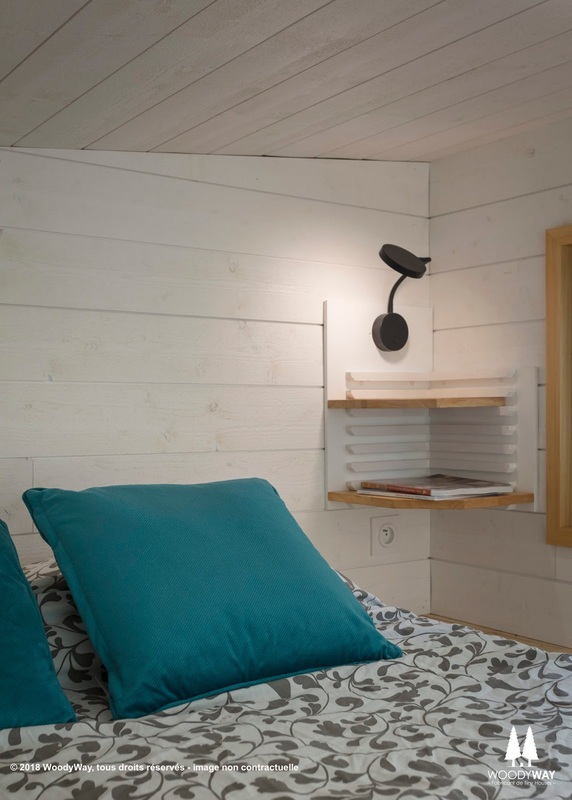 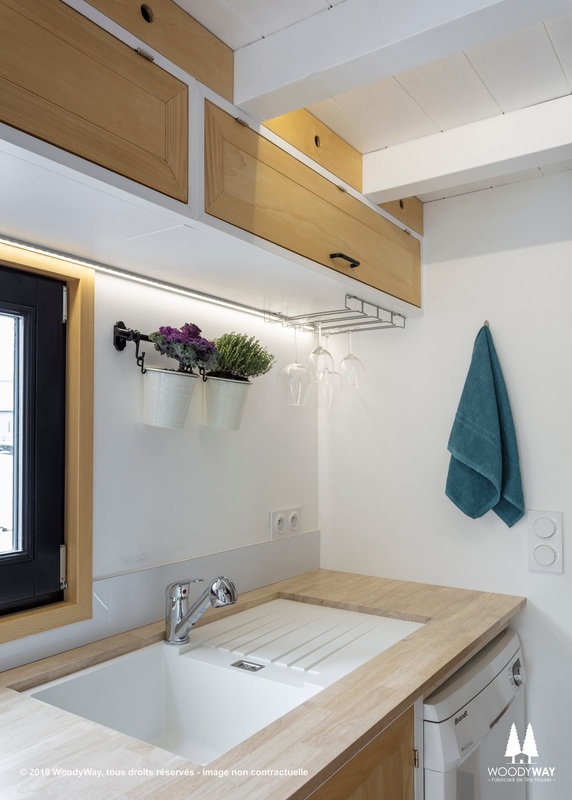 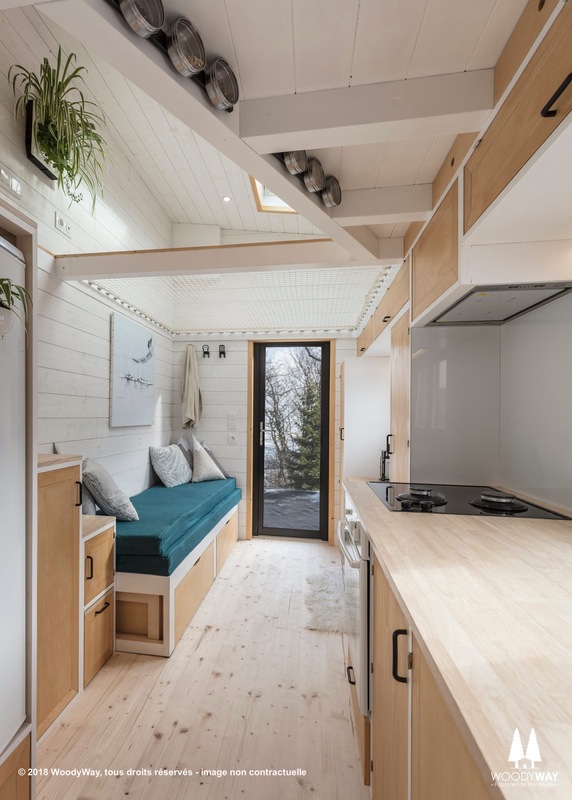 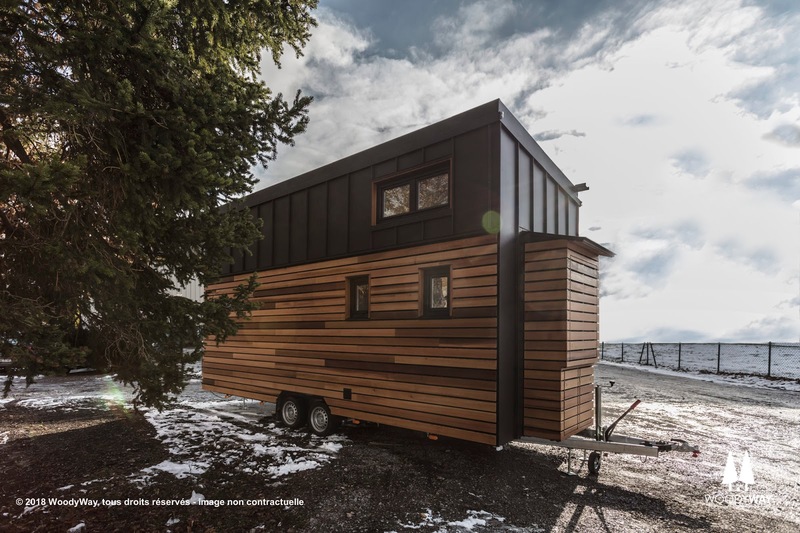 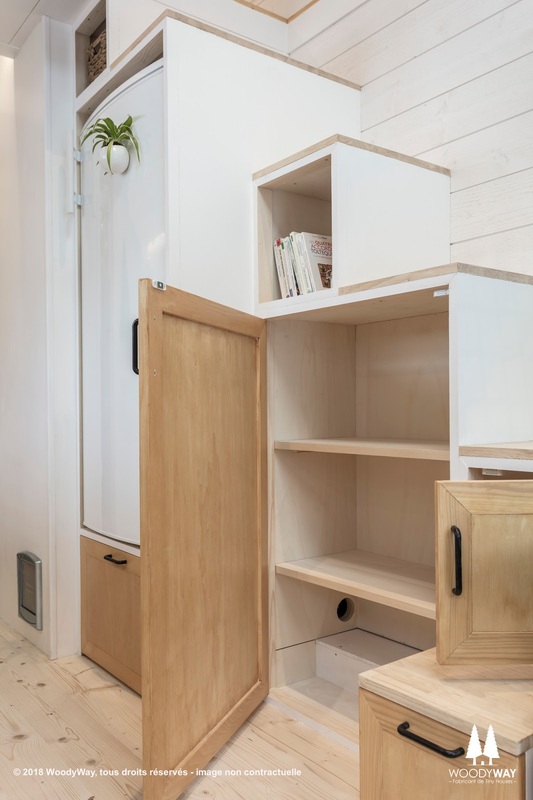 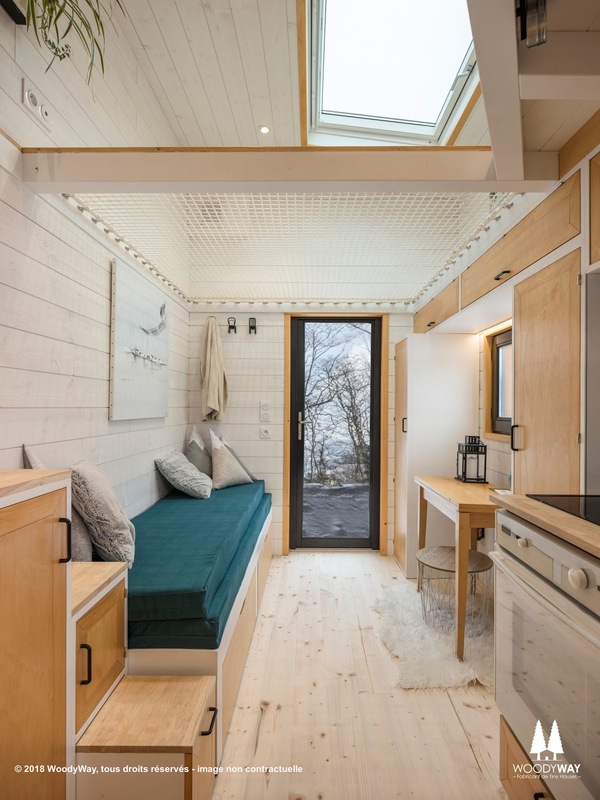 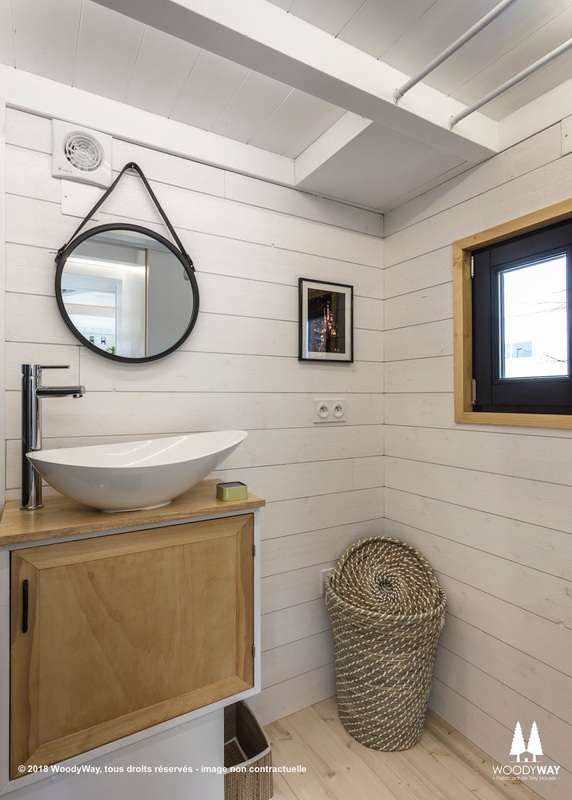 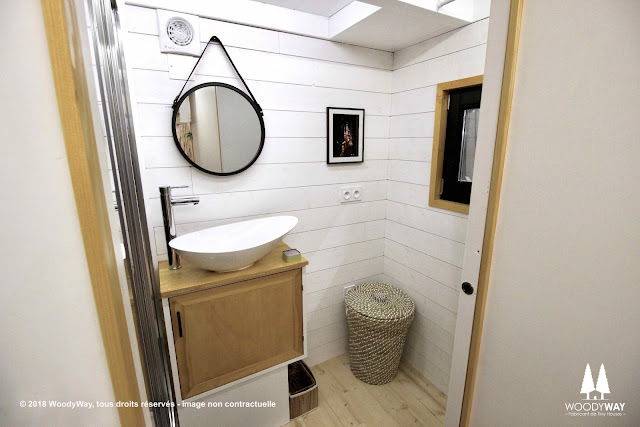 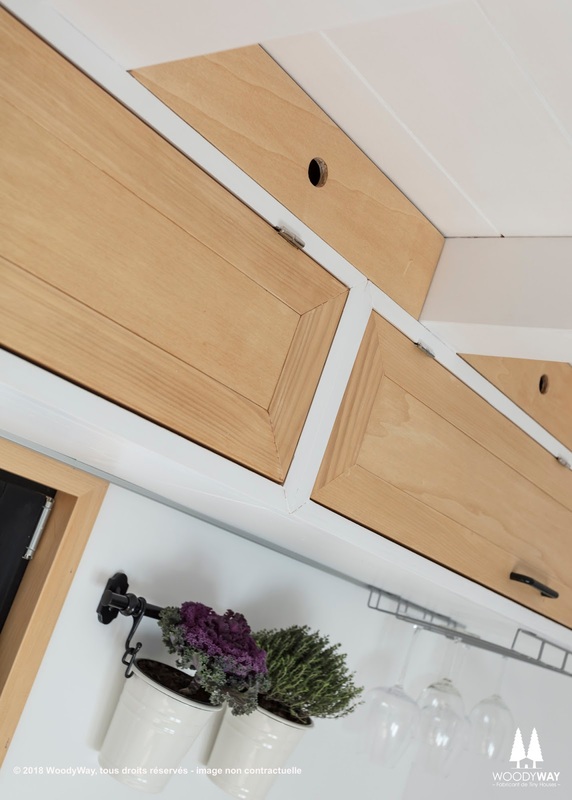 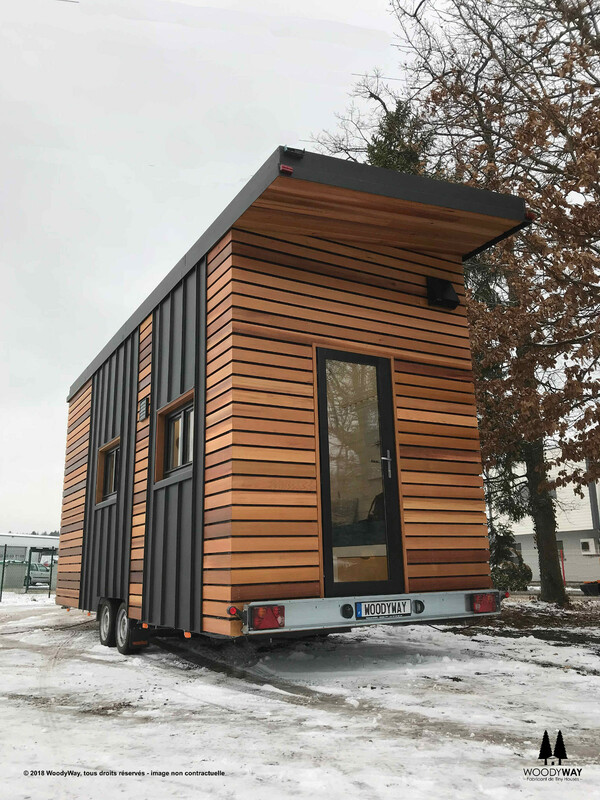 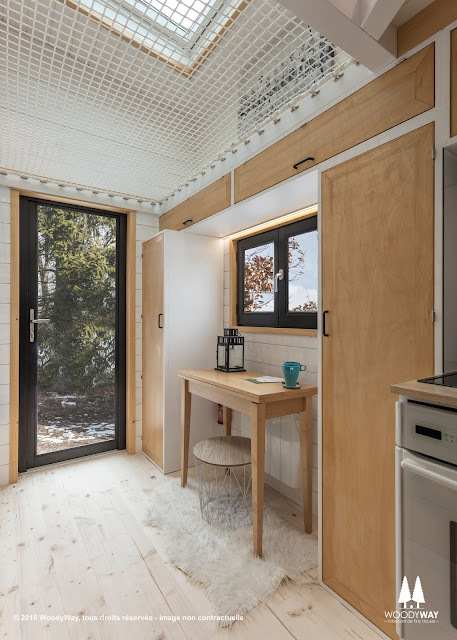 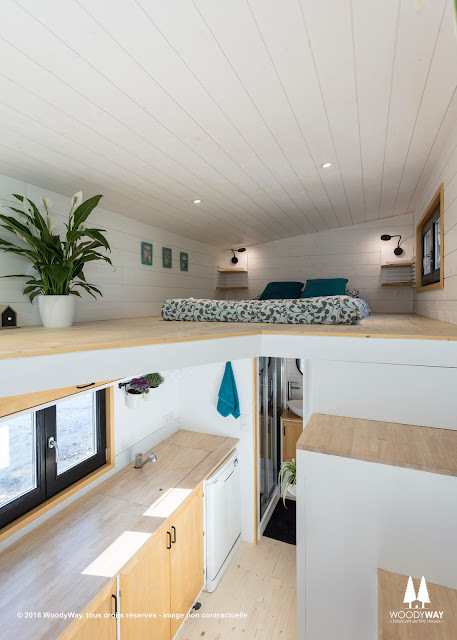 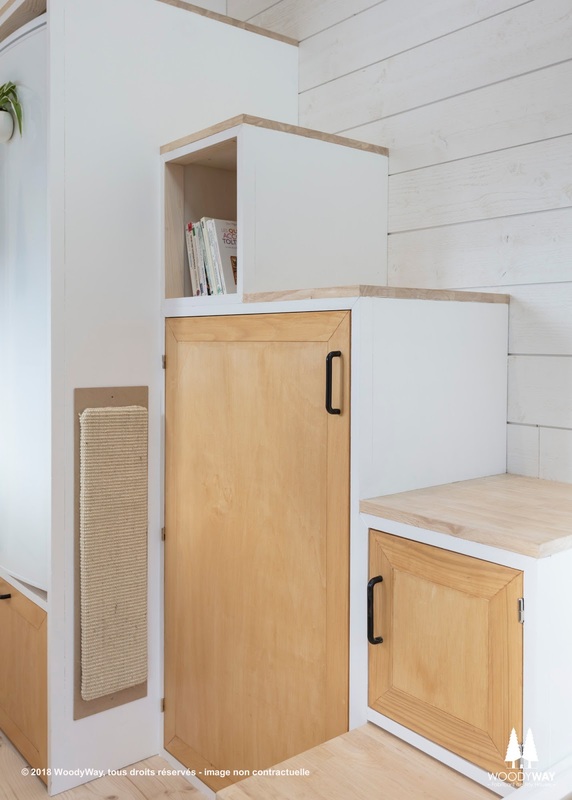 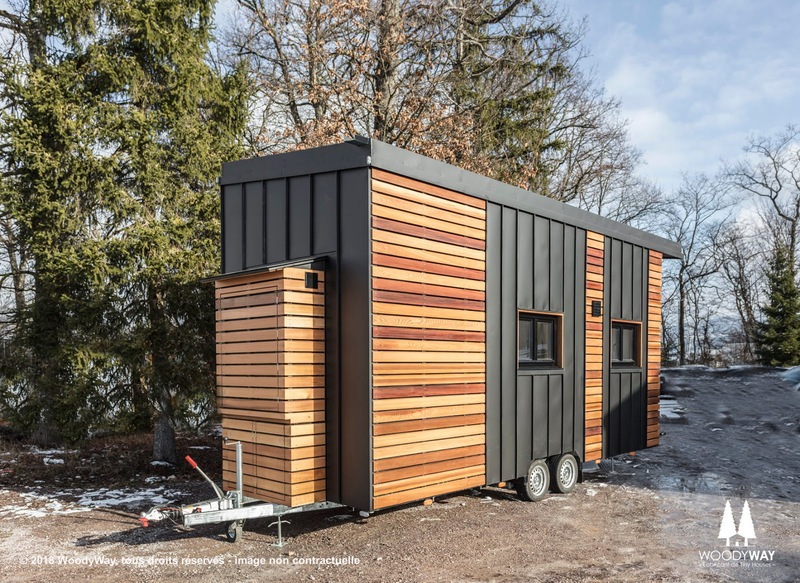 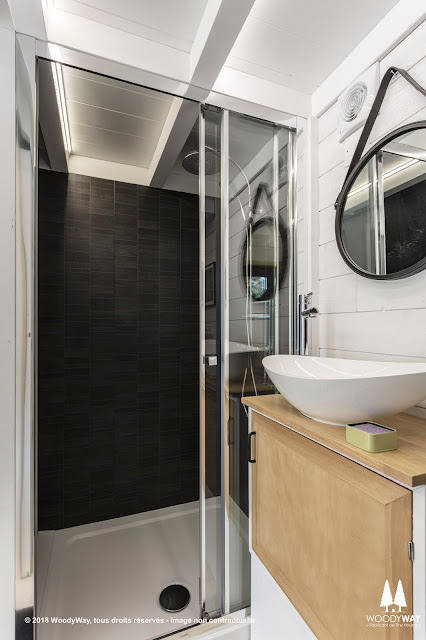 Meet Athena: a tiny house that perfectly blends together design and functionality to create a comfortable home in just 220-sq-ft! 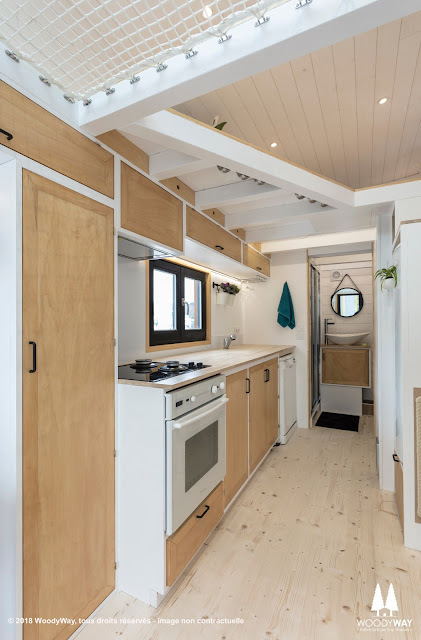 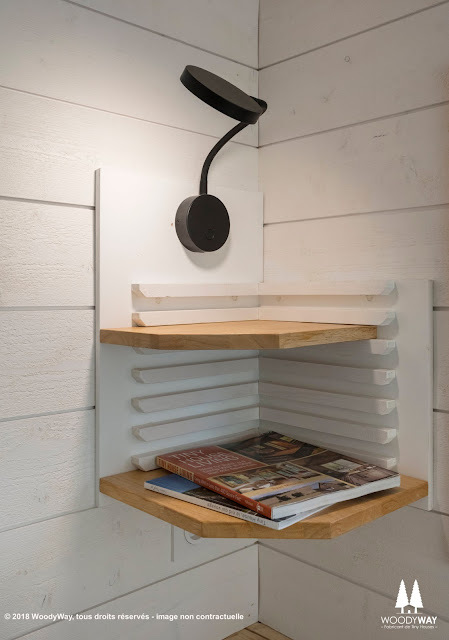 Athena is a custom-build, designed and created by Swiss-based company, Woody Way. 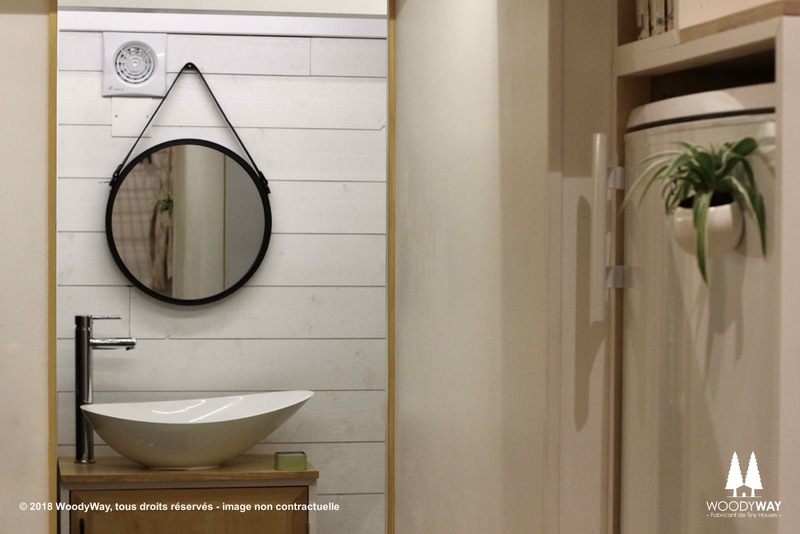 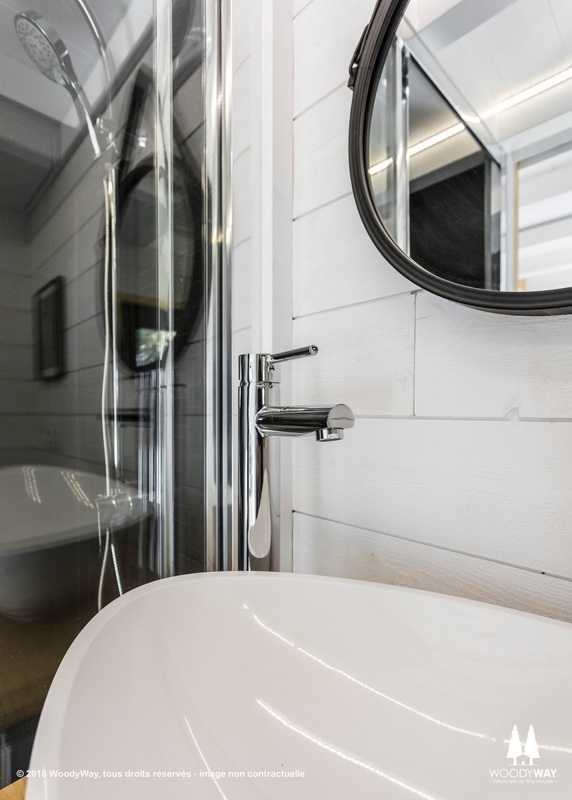 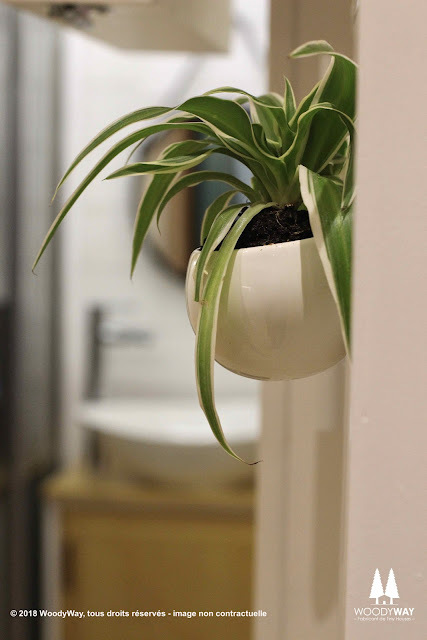 The home was built using using eco-friendly materials in 95% of the house. 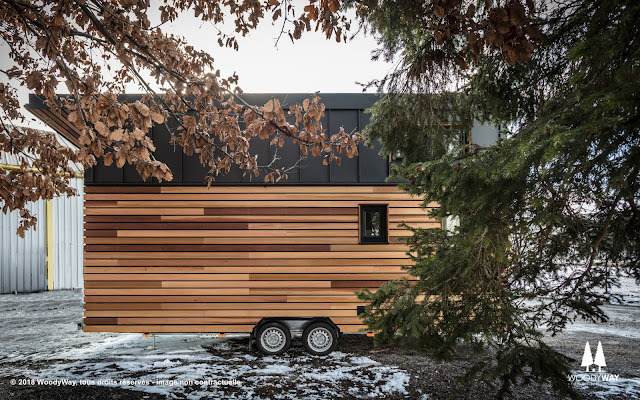 Its exterior features red cedar with aluminum for the siding and roof. 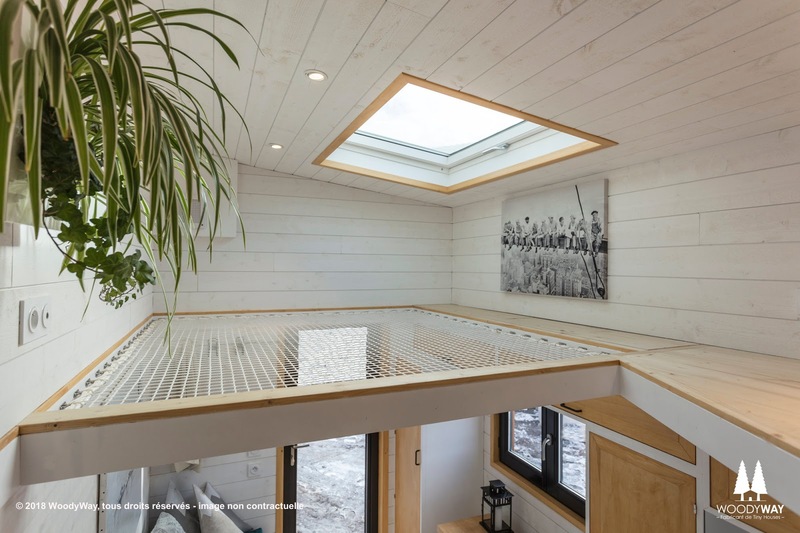 Inside, the home is designed to look as bright as possible with white spruce siding, and skylights to illuminate the home. 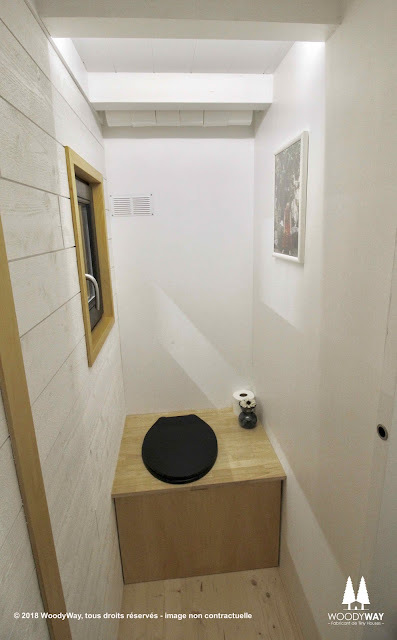 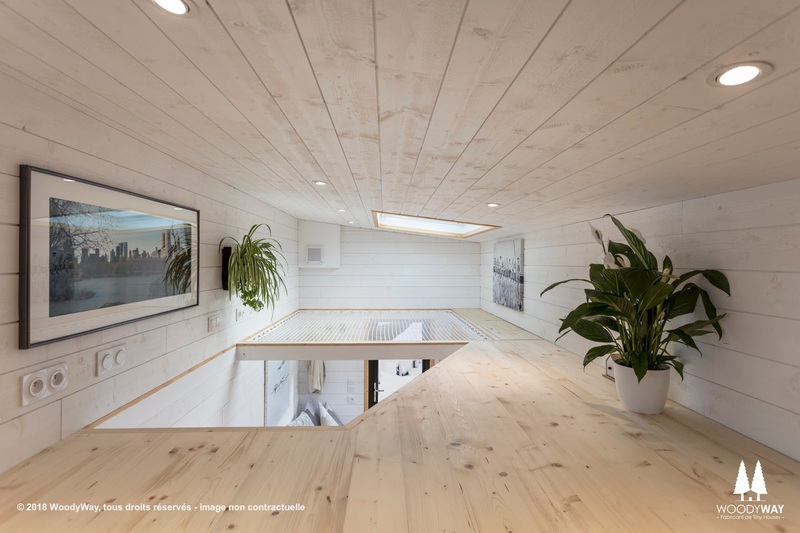 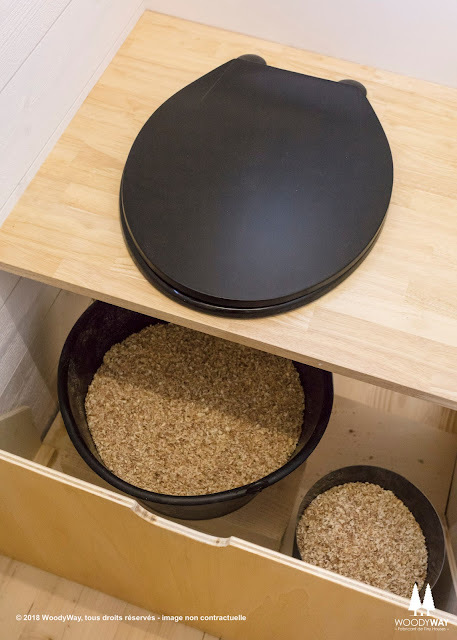 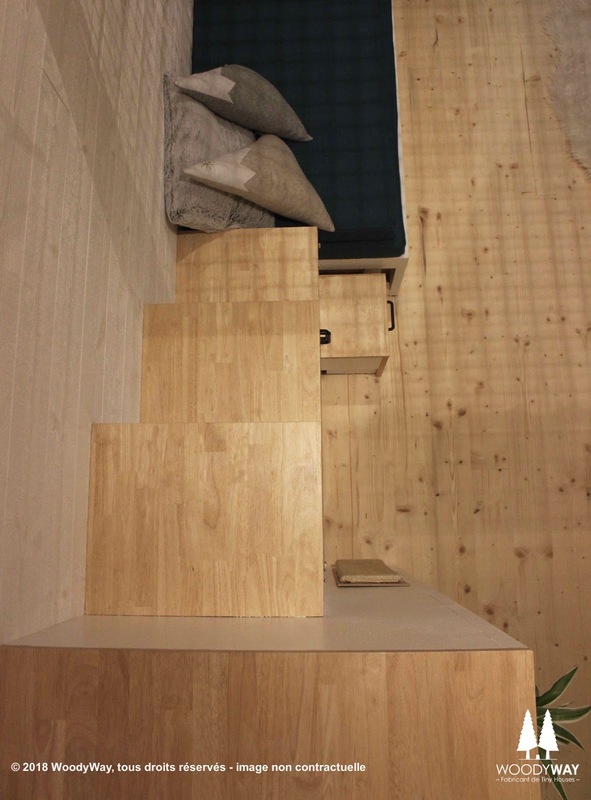 The ground floor has a workspace, a built-in sofa, a kitchen, and a bathroom. 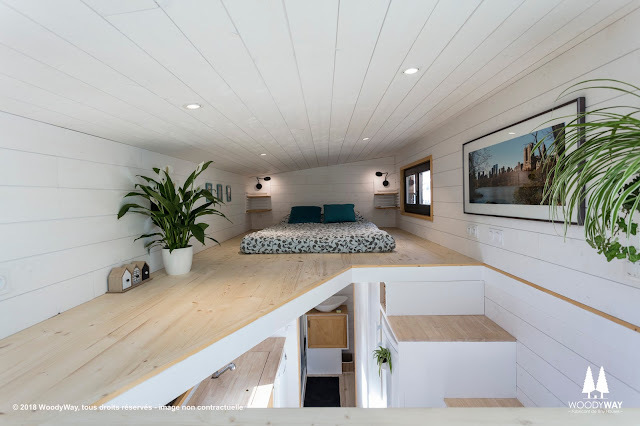 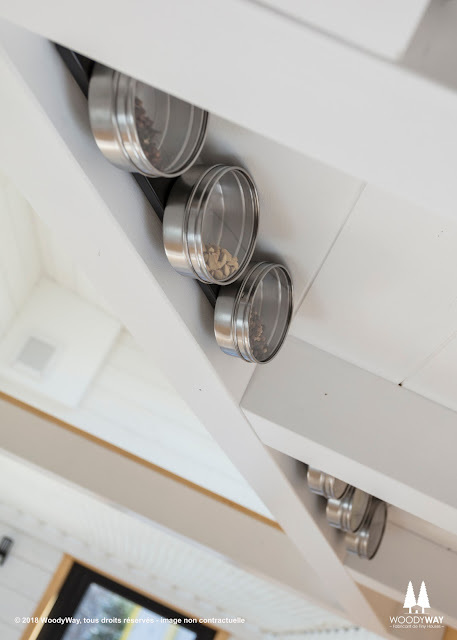 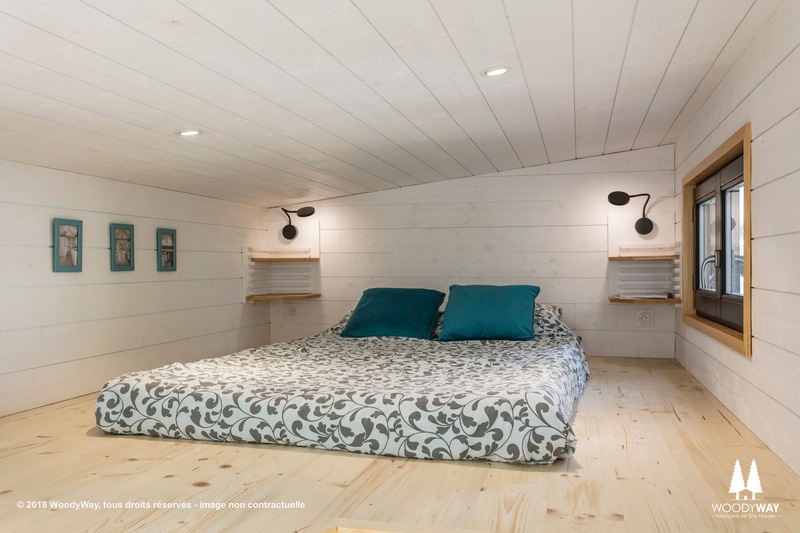 Upstairs, via storage stairs, is the home's loft bedroom and a second loft area with catamaran netting! The approximate price of the Athena is €60,000 (about $73,144 USD). For more information and/or inquiries, feel free to reach out to Woody Way here! 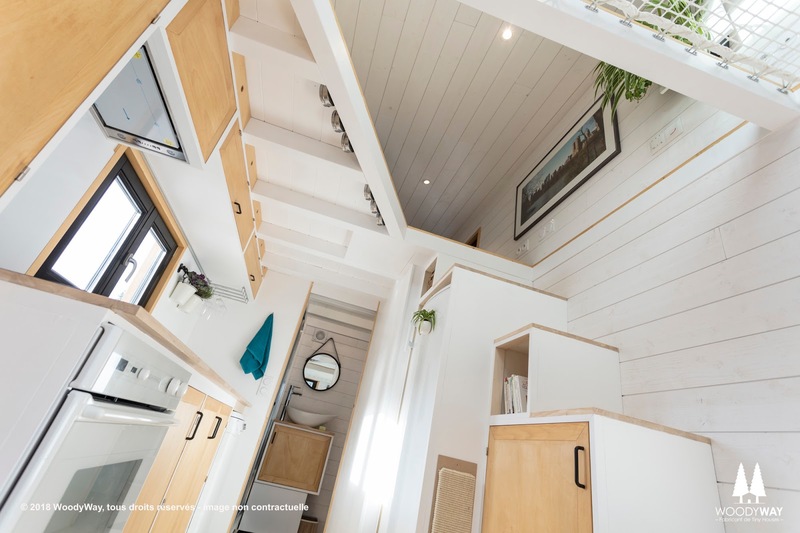 You can see more of the Athena here and/or another home by Woody Way, the Woody Way Cottage, here!